Another thing I notice was that the ink’s solvent (I think…) seems to oxidize or something when it is exposed to air, turning into a yellowish stain. On the left is the Lamy T10 Black ink that came with my Lamy Al-Star and on the right is the Pelikan Brilliant Black that I filled into my Hero 336. The paper was soaked by placing the nib on the paper for a while, letting it flow out. 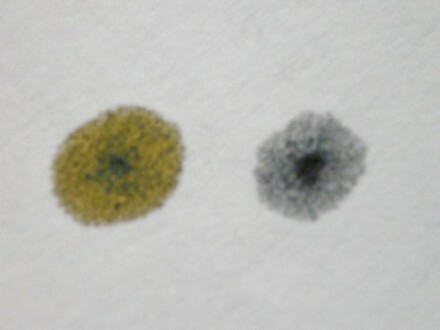 Did I get an imitation ink, or are all Lamy T10 Black ink like that? 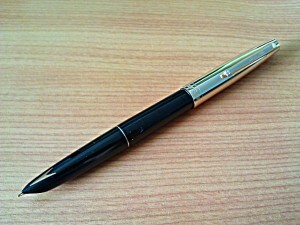 A SG$1.20 Hero 336 fountain pen! Who knew a fountain pen could be that cheap! Forgot to get ink though… Gonna go buy some later.